Taking care of your outdoor space can be fun, but sometimes it gets overwhelming or you just don’t have the time. Let SunCo help keep your outdoors beautiful with weekly, monthly or custom maintenance programs. Call today to discuss your outdoor needs. Inspiring outdoor envy is all about the details. 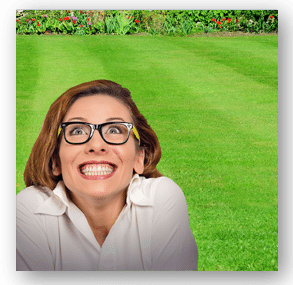 If you want the best looking yard on the block, you need to start with the small stuff. At SunCo, we call that a landscape clean up. Though spring is the most popular time to schedule this service, your yard can benefit from a little TLC any time of year. When you schedule a landscape clean up, our outdoor specialists will come out to your house and carefully remove all of the sticks, twigs, debris, and dead plants from your yard and gardens. They will also cut back perennials to stimulate new growth and produce a neat, clean look. A landscape clean up is an important part of maintaining a beautiful outdoor space. Think about it like a car wash and detailing. It won’t give you a brand new car, but it will make the one you have look its absolute best. 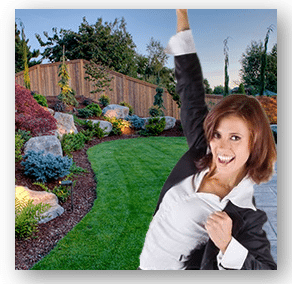 Get your yard looking its best this year with a landscape clean up from SunCo. Mulching is the most dramatic part of a spring clean up. While it might seem simple, there is an art to proper mulching and it has a big impact on the overall health of your yard. Mulch needs to be laid to a proper depth in order to insulate the soil in order to provide a buffer from both the heat and the cold. At SunCo, mulch comes in three colors: chocolate, standard, and red. 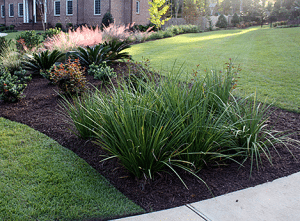 Visually, fresh mulch makes a stunning impact, creating contrast with flowers, grasses, and landscaping features like paths and retaining walls. It also does a great job of limiting erosion. If you’re ready to get your lawn looking its best, fresh mulch is an absolute must. Contact the experts at SunCo to schedule mulching along with your spring clean up today. Bed edging is a critical part of spring cleaning for your yard, and the benefits can last all through the summer. Think of it like a much-needed haircut for your planting beds. You might not notice how ragged it looks at first, but once you have the service done, the visual change is astounding. Our landscape experts use specialized tools to create precise lines separating your planting beds from the rest of your yard. This helps your planting beds stand out and keeps grass from encroaching on them. Trees can also benefit from natural edging. To keep your landscape looking bold and fresh, we recommend scheduling this service once a year. Flower and plant containers instantly soften hard areas outside, adding beautiful colors and seasonal aromas to the air. But they are also a lot of work to make and maintain – all season long. There’s planning, materials and your time. For most of us, we just don’t have the time or lose interest because of life’s distractions. Let the outdoor experts at SunCo help you develop a container plan that’s right for your outdoors and fits your budget. No problem. We’ll work with you to select the right plants and flowers for your containers. We can leave you with the design or plant them for you. We can do a little or a lot. From design, to planting, to maintaining. We can also do seasonal replacement of plants or even one time projects like before a graduation or outdoor party. Do you get sick and tired of trying to keep up with watering your containers or need help when you go out of town? We have watering systems that can be installed to your existing sprinklers that can solve this problem for you. Keeping your landscape beds looking good might require time you don’t have. We have the flexibility to create a maintenance plan that works for you. You may want to keep your beds looking fresh at all times during the season. If that’s the case, weekly maintenance programs would be a perfect fit. Or maybe you like to do it yourself and find that there’s a time where you just can’t get to it. We can manage one-time clean ups to help you keep your landscape beds looking neat and tidy. Whether it’s one time, weekly or monthly, we have the plan that is right for you. 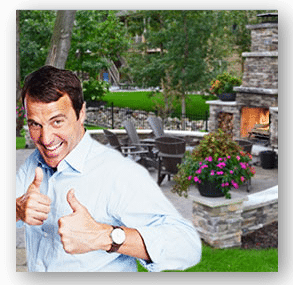 Let the outdoor specialists at SunCo handle all your outdoor maintenance. Adding mulch to edging, even containers. 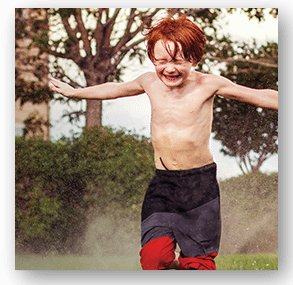 Week or month programs, SunCo can handle all of your outdoor needs.